A “D” can be a passing grade for a general education course; but a GPA dipping below a “C” within the major area of study is unacceptable. Infrastructure is considered to be America’s backbone, it’s main support; which is why the American Society of Civil Engineers‘ 2013 grade for America’s Infrastructure is so upsetting. 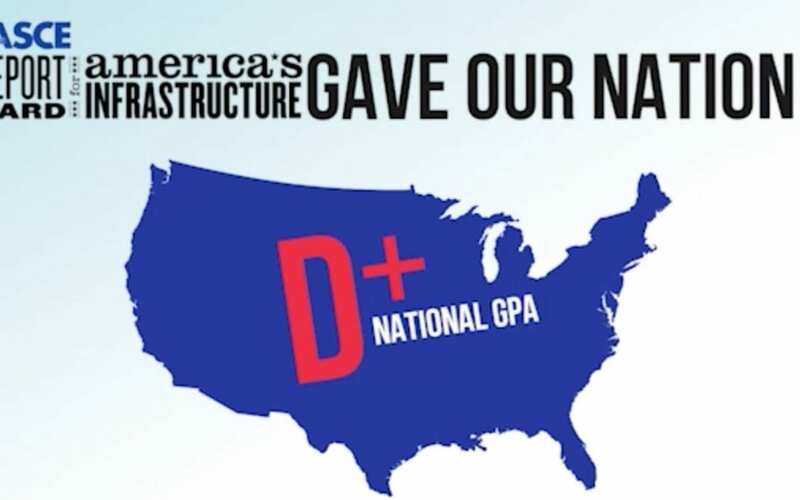 The US received a D+ on its infrastructure report card. No, we are not technically failing, just “poor,” and with a “strong risk of failure.” When America’s infrastructure is at risk of failing, then America’s backbone at risk of failing. How can we function with a crumbling backbone?